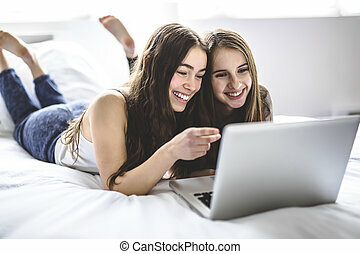 Cheerful friends using a laptop to shop online lying on bed at home in bedroom. 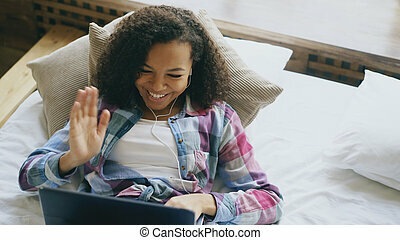 A woman using a laptop and listening to headphones, while lying on a bed and looking up while smiling. 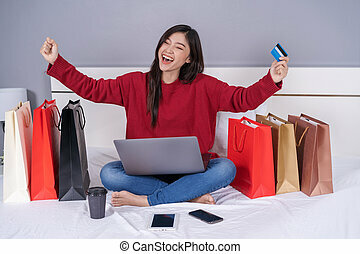 A woman lying on her bed while using a laptop and listening to headphones and smiling. 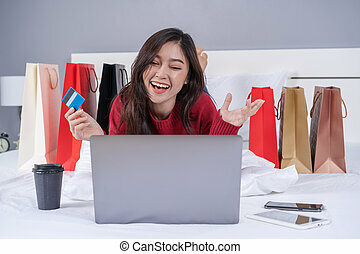 A smiling woman lying on her bed, using her laptop and credit card to order items online. 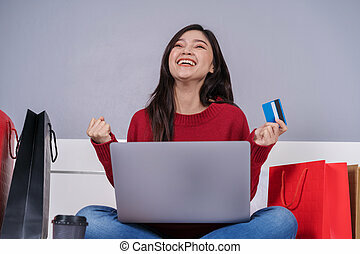 A woman lying on the bed, looking at the screen of the laptop that she is using.